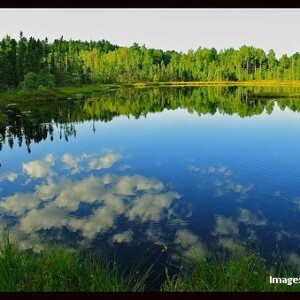 Medford has much to offer—after all, it’s the home of Tombstone Pizza and the gorgeous Chequamegon National Forest is nearby. But, from a TDS perspective it’s also quite unique. Medford is part of the Midway Telephone Company exchange, which was among the first 10 Wisconsin companies acquired by TDS. You could say that Medford is part of the foundation TDS was built upon. Today, TDS continues to invest heavily in the community. In fact, it’s an area where TDS is receiving stimulus funds to expand broadband Internet service. Just last week, the first customers around Medford learned they could sign up for high-speed Internet service. By the end of the year, TDS expects to complete the project which will enable about 1,200 households to connect. Many of these customers likely work in the industrial or manufacturing industry, both are cornerstones in Medford. Outside of being an employment mecca, Medford, which is part of Taylor County, offers some of the finest year-round recreational activities. The Chequamegon National Forest, which covers one-third of Taylor County, is home to the longest unbroken stretch of the National Scenic Ice Age Trail (60 miles). It provides unlimited opportunities for hiking, cross-country skiing, camping, bird and wildlife watching, as well as fishing and hunting. In fact, there are nearly 100 lakes in Taylor County where you can cast your line. Plus, there are more than 300 miles of professionally-groomed snowmobile trails for winter fun. On the outskirts of Medford, there once was a place known as the Tombstone Tap. A bar and restaurant, it was home to Tombstone Pizza. The pizzas, first served to local customers, soon became incredibly popular. Customers couldn’t get enough and the Tombstone Tap owners, the Simek brothers, set about delivering the handmade pizzas over dry ice in a snazzy 1959 Cadillac. Now owned by Nestle USA, you can find Tombstone Pizza in stores all over the United States—which means you can get a little slice of Medford where ever you live.